Zip on over to the entries in Frizztext’s ZZZ – Challenge. Glad you liked it – and thanks for the heads up about Blurb! I’ll make a quotation of your Z-creativity (it’s already scheduled for July 1st) and that will be the end / final of the current A to Z challenge [no more follow ups then] – the end of some surprising series – your poems always made me breathless! I am ever grateful for your inspiring me to take the poetic leap back into the fray. I’ll be posting the fill- ins in their regular time slot so you will still have something besides chasing your adorable grand kids to leave you breathless! I think you ought to compiles these alphabet posts–and the great images–in a book, seriously! Thank you so much – I have been looking into the differences between publishing an ebook direct to amazon or an iBook through Apple – still haven’t figured out which way to go! Oh this is gonna be good, whichever–Bravo! Hurray – we are not done yet! This is my winter turned summer project! 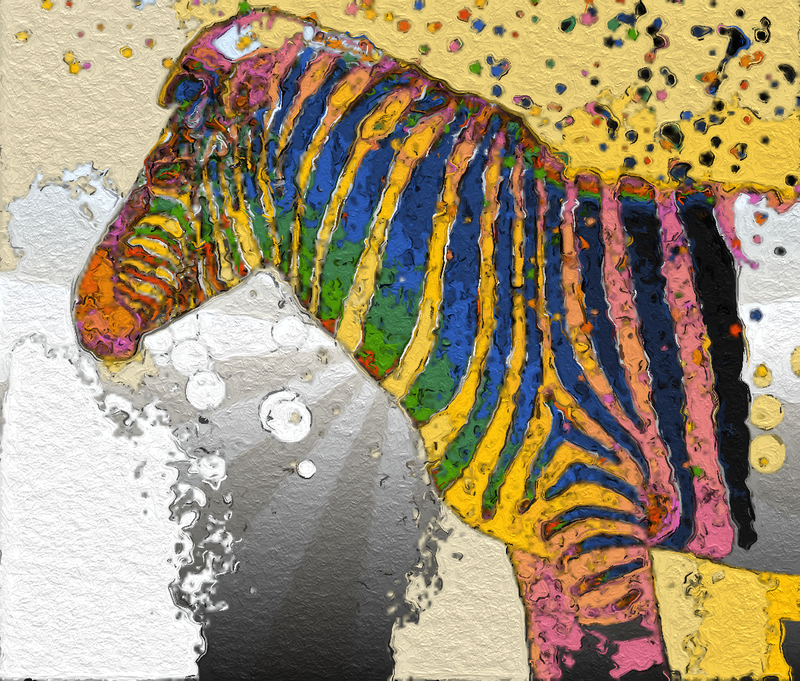 Did you paint that Zebra ? Really cool work! I liked it a lot! Thanks, I think I’ll be doing more of these!